New talks aimed at preventing Iran from using its nuclear program to make a bomb are under way, and though the U.S. thinks it has a stronger hand now, it is not expecting concrete results. Michael Adler reports from Istanbul. And so the Iranian nuclear crisis comes to the shores of the Bosporus, a meeting point of worlds where the land masses of Europe and Asia face each other across the narrow strip of water. Talks here between Iran and six world powers come at a time when, somewhat surprisingly, the United States says sanctions give it a decided advantage in preventing Iran from getting nuclear weapons. Iran’s march toward nuclear mastery has clearly slowed, perhaps due, besides sanctions, to sabotage—such as a computer virus that hit the country’s main uranium-enrichment site—and the assassination of some of its scientists. Outgoing Israeli Mossad chief Meir Dagan caused a stir this month when he said Iran could not develop a nuclear weapon before 2015. This, along with other revised Israeli estimates, was taken to mean that an Israeli attack on Iran would not be needed in the short term. U.S. officials said it was another sign that what had been looking like an endgame of escalating pressure had become instead an opening for diplomacy, free of the pressure of having to decide whether to live with Iran with the bomb or to bomb Iran to prevent it getting nukes. The irony in the Istanbul meeting is that Iran has been trying for the past year to get its ally, Turkey, involved as a counterweight to U.S. pressure. But that has not turned out the way Tehran wanted. Turkey is not mediating, nor even joining, the talks here. It is just a host, and will not be at the table when Iran sits down with Britain, China, France, Germany, Russia and the U.S. This is part of the narrative that things are not going well for Iran. But will it fly? Iran remains stubborn, even if there are suspicions that President Mahmoud Ahmadinejad is looking to cut a deal in order to be the historic figure who betters relations with the Great Satan, the United States. Talks with Iran had broken off after Tehran backed off a deal its nuclear negotiator, Saeed Jalili, made in October 2009 to ship out most of the fissile material—the enriched uranium—Iran had made. This was supposed to be a “confidence-building measure” to show that Iran is not seeking to use the uranium to make a bomb. Since the deal fell through and Iran walked away from talks, the United Nations has imposed new, tougher sanctions on the country in an attempt to force it to stop enriching uranium. The U.S., the European Union and even such countries as Japan and South Korea have followed up with tough bilateral moves. The result: Iran’s banks are having trouble doing business; its shipping line is having problems moving goods and obtaining insurance for shipments. Amid all this pressure, Iran agreed to return to negotiations and to discuss its nuclear program. The first round was in Geneva last December. Iran’s ambassador to the U.N. nuclear watchdog in Vienna said this month that Iran is moving ahead on its own to make the nuclear fuel and warned that once it has done this, there will be no deal. But that was just a talk fest. Neither Iran nor the six world powers attempted to discuss concrete ways to move forward. The talks in Istanbul are supposed to be different, even if diplomats in Washington stress that expectations are low. The key accomplishment, they say, would be for Iran to show it is serious about opening up about its nuclear efforts. For instance, it could stop stonewalling and move to cooperate with U.N. nuclear inspectors checking for any military dimension to its program. Agreeing on specific measures could come in later meetings, but at least there would be a genuine, practical negotiating process, the diplomats say. They add that Iranian cooperation, especially compliance with U.N. resolutions to halt uranium enrichment, could result in the international community helping Iran develop its civilian nuclear technology. The fuel deal is still on the table. The swap agreed to in October 2009 was for Iran to ship out 1,200 kilograms of enriched uranium to be processed into fuel for a research reactor in Tehran that makes medical isotopes. Iran had some 1,600 kilograms of enriched uranium stockpiled at that point—which is estimated to be the amount the country would need to build one bomb, in what would likely be an inefficient first attempt. Iran now has some 3,000 kilograms, and the goal is to leave it with only 400 kilograms, the amount stipulated in the 2009 deal. The signs of this happening are not good. Iran maintains that its program is a peaceful, civilian one. Its ambassador to the U.N. nuclear watchdog in Vienna said this month that Iran is moving ahead on its own to make the fuel and warned that once it has done this, there will be no deal. Experts do not think Iran can make the fuel assemblies needed for the reactor, but the country is enriching uranium to a 20 percent grade, a big step on the way to making highly enriched uranium—and a bomb. Uranium fuel for civilian power reactors is usually enriched to up to 5 percent. A bomb needs uranium enriched over 90 percent. There also are reports Iran will propose shipping out 1,000 kilograms of its low-grade uranium—even below the amount called for in the October 2009 deal—and almost all the 20 percent-grade uranium it has made. This would not fly with the U.S and its Western partners. But Iran is always trying to peel away Russia and China from the international lineup against it, and those two countries are more open to taking Iranian initiatives as genuine negotiating points. The shipping out of the 20 percent-grade uranium could be a catalyst for this. Ultimately, there are no easy or good answers. Iran’s nuclear program has not been stopped or even mortally crippled, by all the recent measures, and fears remain that the Islamic Republic seeks the bomb. This explains why the current round of diplomacy is important and why success in Istanbul would be the beginning of a process rather than yield an immediate result. One U.S. point of view is that it’s not so bad just to kick the can down the road, to keep talking in the hope that a solution will eventually be found. That is seen as better than an endgame that involves trying to contain a nuclear-armed Iran, or taking up arms against it. 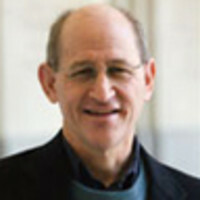 Michael Adler, a longtime reporter for Agence France-Presse, is currently a scholar at the Woodrow Wilson Center and is writing a book on Iran’s nuclear diplomacy, which he has covered for most of this decade.